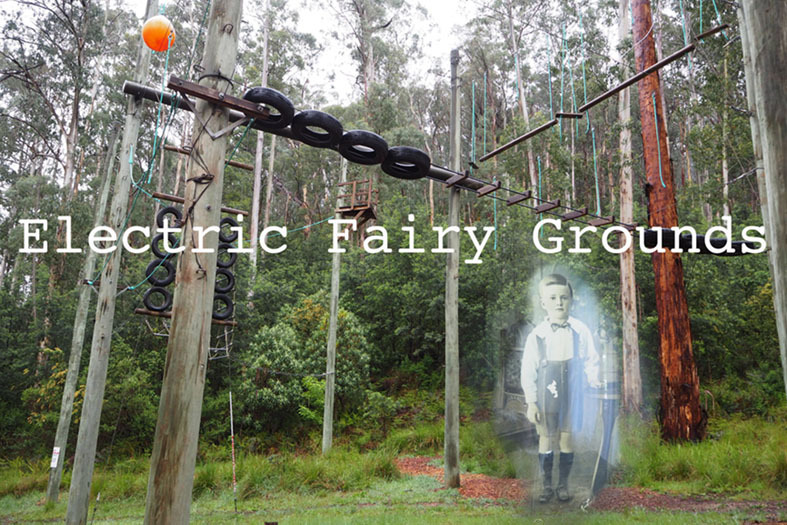 „Electric Fairy Grounds“ is a three-part radio installation for the exhibition „PHANTASMAGORIA“ curated by Madelynne Cornish at Bogong, Australia. „Electric Fairy Grounds“ draws on the Aboriginal concept of a „dreaming“: A tale that highlights on topographic elements as well as on the identity and history of the people visiting or having lived in Bogong Village. Documentary materials – interviews, talks, songs, poems and nature recordings – are combined with a radio play anchored in the 5os, when the dominating (industrial) landmark of the region, Junction Dam, was built. Radio as a „medium“ relates both to the constant flow of electric currents omnipresent in the area and the flow of the Kiewa river. But of course we can also hear the ghosts of the past speak though the waves….